Watch your tropical vacation dreams unfold at The Saffron House. In this holiday home, you will find a sprawling tropical garden measuring three acres, set sight on stunning ocean views, gain access to a rocky seafront that is yours to explore, and enjoy gusts of salty sea breezes all day. A total of four double bedrooms offers accommodation for eight. Cool and airy, the rooms feature polished concrete floors, contemporary furniture crafted from local teak, pillowy beds and fine linen. Two master bedrooms are set in the north side of the courtyard, and each contains capacious bathrooms with open air spaces. Both rooms face the the courtyard, and overlook a picturesque garden. The Courtyard bedroom lies at the west side of the courtyard, and offers sweeping views of the lawn and coast. The Sea bedroom, situated close to the shores, offers a high level of privacy and intimacy. A private terrace extends out from the room, providing a cosy spot for couples to spend a quiet evening together. The lush, emerald garden is a wonder to explore. Perfect for taking leisurely walks, a stroll through the grounds of the garden will bring to sight plenty of tropical foliage and flora. 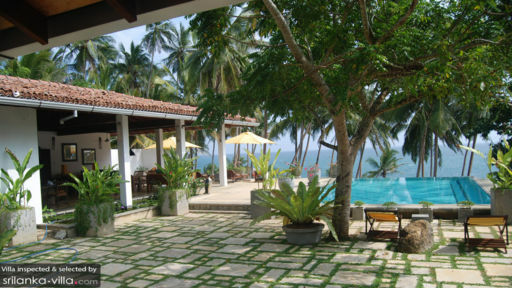 Venture out of the main lawn, and you will find a coconut grove sloping down to a dramatic rocky shoreline. This coastal area is yours to explore; watch the mesmerising sunsets over the Dondra lighthouse during the early evening, and catch sight of fishing lights beaming out to the ocean at night. The villa wraps around a spacious swimming pool. It is the perfect spot for a mid-day dip to cool down from the afternoon heat. A handful of loungers flank the pool, offering a comfortable seat for holidaymakers keen on adding a sun kissed glow to their skin. Contemporary and traditional design elements blend together seamlessly in the finely-appointed living spaces of the villa. Hand-built furniture, hand-finished floors and simple tropical architecture are found alongside modern pieces in the common living spaces and bedrooms. When it comes to mealtimes, expect nothing less than a spread of delicacies, even if you are too lazy to lift a single finger. The experienced in-house chef, Chris, boasts a wide repertoire in the kitchen, and will readily whip up a variety of dishes ranging from local Sri Lankan fare to Western mains. The Saffron House is a full service property. Housekeeping service, personal guest service, security service, laundry service and welcome drinks are included with your stay. Amenities available at additional cost include airport transfers, personal driver service and in-villa massages. In-villa dining experiences are charged at the cost of groceries. The Saffron House features kid-friendly amenities. A baby cot is available for use, and child-minding services can be engaged at additional cost. 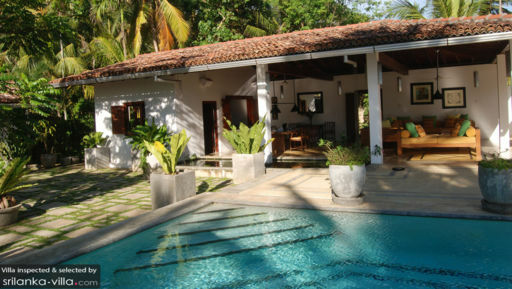 Situated along the edges of the town of Dikwella, The Saffron House puts vacation makers within close proximity to the spectacular coastline stretching from Dondra to Tangalle. Beach lovers will take delight in exploring the paradisiacal coasts of Hiriketiya Bay, Dikwella beach and Mawella. 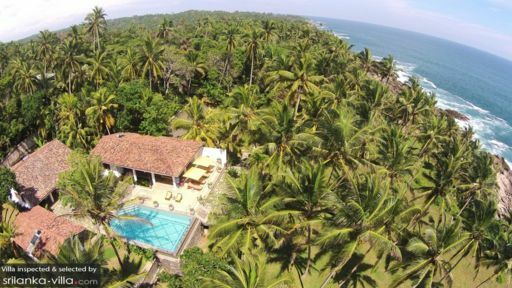 Other renowned travel attractions and activities close by include the historic Galle Fort, Yala National Park, the Rekawa turtle hatchery and dolphin watching at Mirissa.